Rob Dawson, now a key part of Murray Engineering's experienced electrical division management group, sees a very bright future for the expanding business arm of one of Australia's fastest growing diversified engineering services firms. Murray this year completed the acquisition of leading Newcastle-based electrical and mechanical engineering company SRO Group, broadening its national footprint. As well as its 55,000sq.m state-of-the-art workshop and headquarters at Pinjarra in Western Australia, Murray has service centres at Kalgoorlie, Mount Isa, Roxby Downs and Newcastle. It is also growing its presence on the ground in Mongolia via a joint venture entity. Dawson, who joined Murray as electrical operations manager after a lengthy stint in the Middle East where he represented Alcoa of Australia as director of operations at the Ma'aden aluminium refinery, has a 40-year work history in electrical engineering in Australia and offshore. He started his career with Alcoa in WA in 1974, and spent time with the State Energy Commission, AIS Kwinana, BHP Minerals and Perth-based pharmaceutical company Chemeq before the five-year stint at the Alcoa and Ma'aden Aluminium owned refinery in Saudi Arabia. There he helped oversee the commissioning and start-up of the world's largest integrated aluminium facility in the world. An experienced production and commissioning manager in the mining, metals and pharmaceutical sectors, Dawson says he was drawn to a project management-focused role at Murray after the period working in operations management. 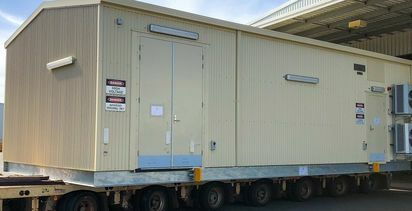 The recent commissioning of a 33KV electrical switchroom and custom housing supplied to a major electrical original equipment manufacturer - for deployment at a tier-one miner's alumina refinery - was a fitting way for Dawson to begin his time at Murray Engineering. He says the project, and other turnkey contracts like it at processing plant and mine sites, present many new opportunities for Murray, which has established itself as a leader in the supply of electrical distribution systems. "Demonstrating this turnkey design and delivery capability, and the commissioning element, has been an exciting period and I'm looking forward to getting involved in more projects that can help grow Murray's business," Dawson says. "The big metals producers and miners want to be able to give a contract to a company - from a smaller contract to a larger one - and not worry about the delivery; not have to chase them up and manage the contractor. They want to be able to pick someone that does what they say they're going to do, and the tendency now is to also seek a commissioning resource to commission it for them. "So our expanded capability is being more widely promoted and we're increasingly seen now as a competitor to some of the bigger boys who have tended to take on jobs of a certain size and ignore the rest. 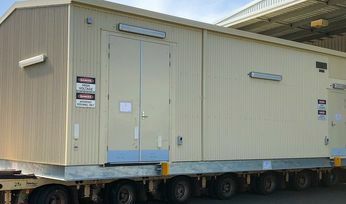 "We have shown we can work with the big electrical OEMs, and build and fit-out a quality switchroom to the client's specifications and Australian standards, and certainly transport it very efficiently from our main [Pinjarra] location, too. "The surface brownfields project market is definitely looking a bit more active into next year, and I'd expect Murray to be bidding on a lot of that work, especially where the principal is looking to engage a contractor who can take responsibility for delivering the finished product." Rob Dawson: "We have shown we can work with the big electrical OEMs, and build and fit-out a quality switchroom to the client's specifications and Australian standards"
Dawson complements a highly experienced electrical services management team at Murray. Electrical manager Craig Shales, who has been with the company for more than seven years, has more than 15 years of experience in the industry. Electrical workshop manager Paul Farqhuar has been in the industry for more than 20 years, including nearly seven at Murray. 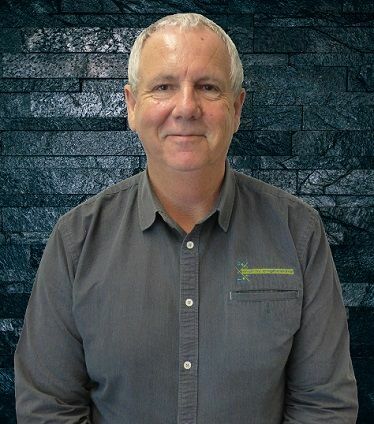 Allan Webb, electrical projects manager, has worked in the industry since 1975 and has been at Murray Engineering for the past two years. "I think Murray Engineering has a very exciting future in this turnkey surface electrical substation market, where the company is a preferred vendor on a growing number of operators' lists," Dawson says. "We're just looking for opportunities to provide a tender, at a competitive price, and then deliver a finished product that is better than anyone else's, and provide the resources to help commission it as well."